Rodeo action will once again gallop into Central Pennsylvania this summer! 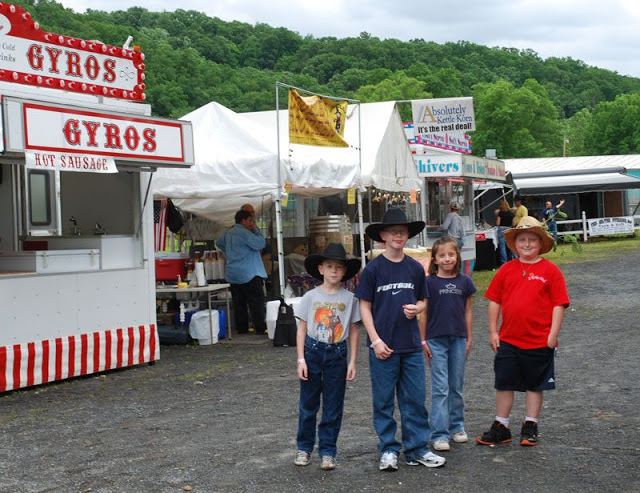 St. Matthew School will partner with local businesses to bring the excitement and action of the Wild West to the Huntingdon Fairgrounds for the 15th Annual Central PA Rodeo. This year’s show dates are Friday, June 14th at 7:30 PM and Saturday, June 15th at 7:30 PM. In addition to the rodeo shows, there will be exhibitors, concession stands and even a chance to meet the cowboys and cowgirls. RODEO is a fun-filled family event that will attract audiences from more than a dozen counties in the Central Pennsylvania region. During the 3 days of performances, plans are in progress to entertain over 7500 adults and children. Our professional rodeo, the only such event in all of Central Pennsylvania, has now become an annual regional attraction, and is a destination weekend in many families’ summer festivities. St. Matthew School will partner with local radio and TV agencies to publicize the event; and we are excited about promoting this attraction to a large regional audience. The success of our venture will largely depend on the support from area businesses and industry personnel who share our vision and excitement. We hope that you might consider being a part of Central PA’s most exciting new attraction.